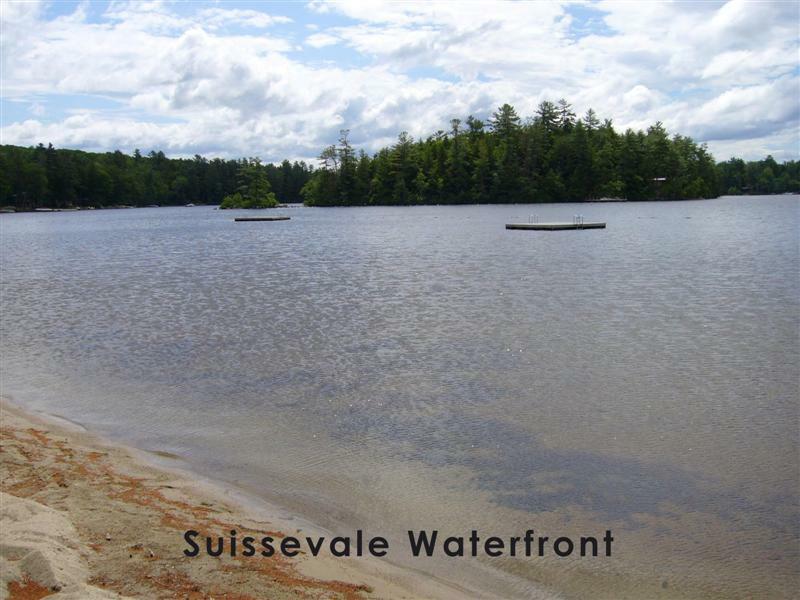 Beautiful Suissevale on Winnipesaukee Home! The new owners could not be more proud to share this beautiful home with you. The finishing touches are just being put on this wonderful property. Gather your family and friends and come spend your well-earned vacation in this great spot boasting 3 bedrooms and 2 & 1/2 baths; open concept living area with fireplace; lower level family room; screen porch and deck. Enjoy central A/C for those hot summer days. 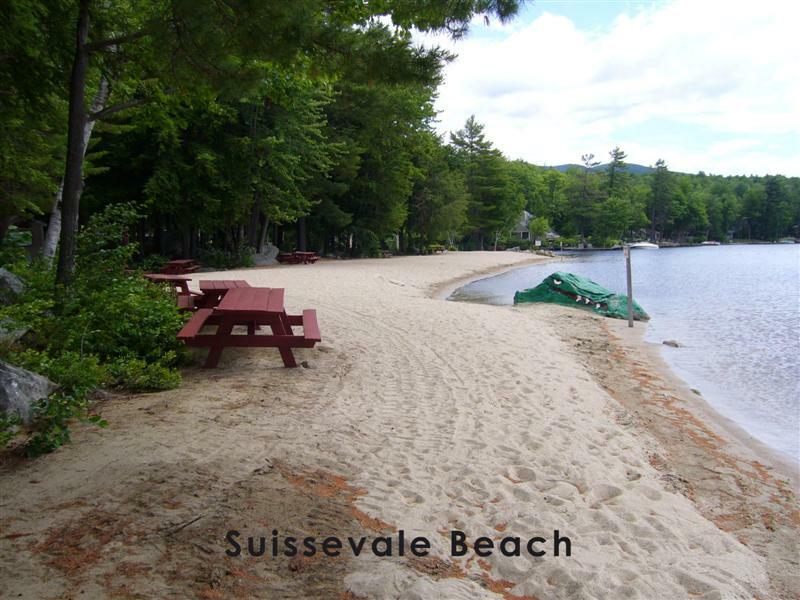 Head to the Suissevale beach and soak up some sun or take a swim out to the raft - beach chairs are included! 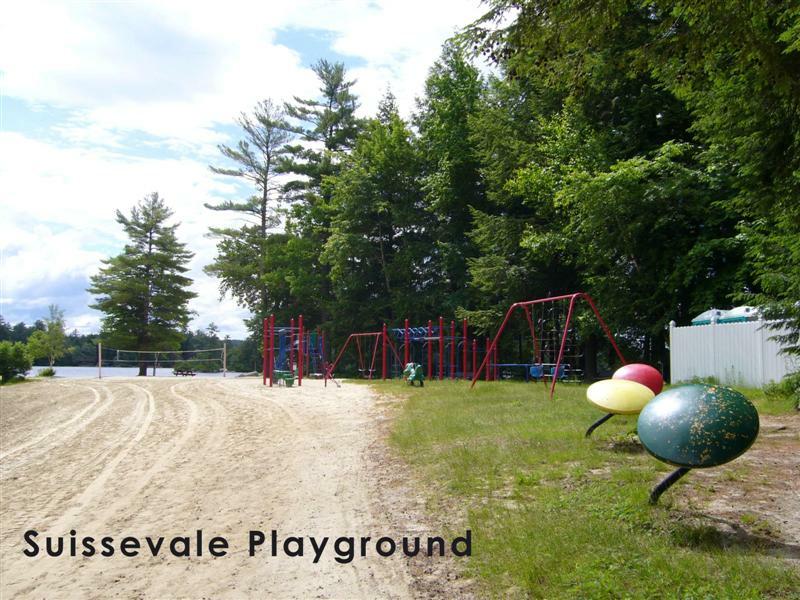 Challenge your vacation-mates to a game of tennis or basketball at the Suissevale courts or let the kids enjoy some time at one of the 2 playgrounds (one is right at the beach!). 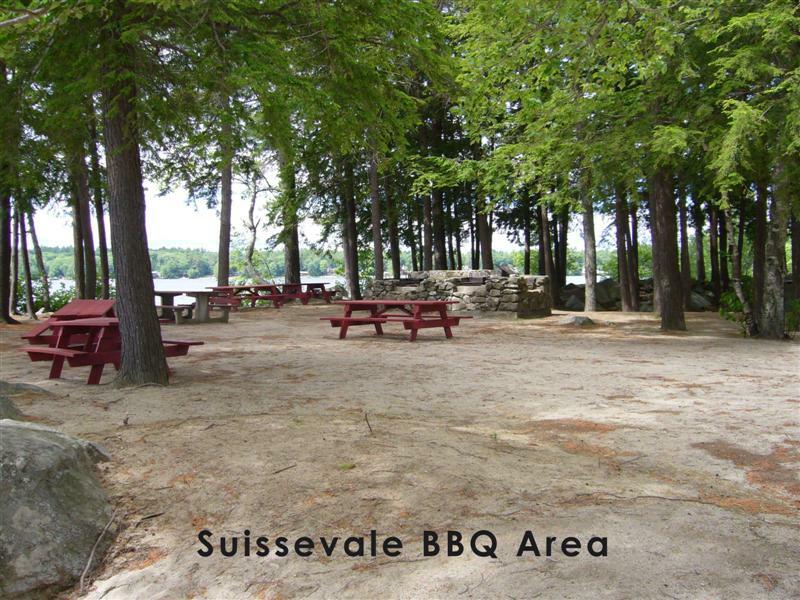 Bring your lunch to the beach to enjoy at the shaded picnic tables. After a day in the sun, relax back at the house on the screen porch and barbecue your evening meal - but don't fill yourself up - you'll need room for your evening s'mores while conversing around the campfire in the back yard. Sound amazing? Then book today! If you would like to rent linens, the fee for this property is $120 for sheets and $12 per person for towels. If you would like to have the beds made for you, the fee is $8 per bed. "Loved this house! Everything was updated and it was perfect. Thank you to the owners! Best part was the regular nightly visit by the owl that enjoyed landing on the porch. :-)"
"Great sized property and we loved the association beach." "it was perfect. My sister got married at Castle N the Clouds and We were so close that it was great. My family and I made it a weeks vacation. so much room, beach down the street ect. 45 mins from Weirs for the kids to play. " "My stay at this property was nothing short of amazing. The house itself had everything that we needed. The location was very secluded and a short walk to the beach. We loved spending nights in the screened in porch. We will 100% stay here again if possible." "The house was great. Our family enjoyed our stay at this property. The house is like new and has everything that we needed." "This is a great property. Public access to the lake is a short stroll and the home was in excellent condition. " "We stayed in this lovely home for 2 weeks and absolutely loved it. We have a large family and it accommodated all of our needs, especially the finished basement with added sleeping arrangements. The home was immaculate and welcoming. All beds had nice mattresses and were comfortable. The three bathrooms were especially helpful with a large family. The kitchen was perfectly arranged and very convenient. The huge living room area with the fireplace made for a cozy gathering place in the evening. Our agent at the property management / rental company was very friendly and professional. She made sure all of our needs were met and we were extremely satisfied with our stay." "Nice experience, whole family has a great time, close to hiking, beach and other activities. " "This place was perfect for our needs. There was 3 couples that enjoyed the stay here for bike week in Laconia 2015. There was plenty of room and it was clean and well equipped! The garage space was great to keep our bikes safe and dry. The rooms were spacious and kitchen was well stocked minus the food of course. The fire pit carved in a gigantic rock was the BEST! We really enjoyed sitting on the logs placed there for seats while relaxing in front of the fire. Only thing that I can say that would better improve the stay would be for them to include the linens - there is a washer and dryer there in which each guest should be responsible for the washing of these items and just one less thing for the traveler to pack - JUST SAYIN! Would be a nice touch! " "We had great weather and plenty of room for all of us. The grandchildren enjoyed the large deck morning noon and night!" "Except for a "nature dirty"screened porch, too few towel racks and hooks and no reading lamps, it was perfect. Very clean, airy and spacious. Location was greata/caws not working on arrival but was fixed immediately. WHEW! Would love to stay another time." "loved this house, great because we had a dog and it is dog friendly. The house had lots of room for several families and had all the things that any family would need. loved the finished basement, great for kids and friends. " "A beautiful newer house that had a little bit of everything. All ages were very pleased. Would definitely stay there again. Lake Winnipesauki is our favorite NH lake." "House was beautiful, clean and fairly close to the beach. Would consider renting again. " "Loved the house, loved the beach. Our entire extended family enjoyed everything. Hope to rent this house in the future."